Impulse Buying: Are You Guilty? - Something New Everyday! Home GoodToKnow Impulse Buying: Are You Guilty? Impulse Buying: Are You Guilty? By definition, impulse buying is the act of purchasing something you weren't planning to after feeling the sudden urge to get that item. You'll feel the impulse side of things before you participate in the buying. It's the gut reaction you have when you walk past a cute pair of shoes on sale or see that T-shirt with your team logo in a store window. You didn't know you needed it until you saw it. Basically, in one instant, you're ready to shove your money at the store just to gratify that impulse. Whew! Sounds pretty impactful, no? It's hard to ignore the feeling, but it's doable. You may give into your desire for stuff for any number of reasons, and stores have gotten adept at weakening your resolve by targeting those reasons. We've all done it at least once: purchased something on the fly because it just looked so good in the store and we had to have it. 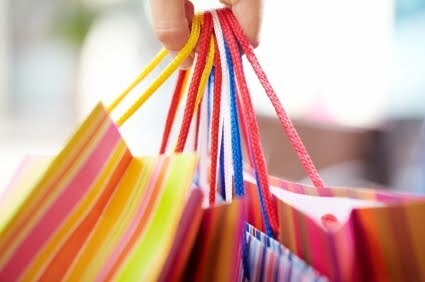 Impulse buying doesn't mean the end of your financial stability if you've only done it a few times, but making a habit of it is a problem. In fact, buying without thinking can quickly lead to overspending and the subsequent feelings of guilt. But when you're in the throes of an impulse-buying habit, realizing you have a problem can be difficult.